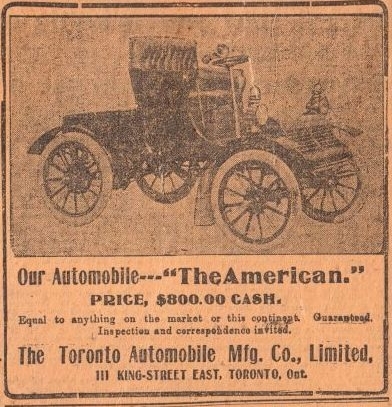 Toronto Automobile Co. advertisement, Toronto World, June 11, 1904. Collection of the Canadian Automotive Museum. Canada’s automotive story began with little fanfare at the turn of the 20th century. Yet very quickly – over the course of just two decades – the automobile emerged as a major mass- produced and reliable form of transportation across the Dominion. From the first public demonstrations in the 1890s to the more than 33 million motorized vehicles on the road in 2016, the automobile became an integral part of Canadian society. The automotive era began in a period of unprecedented technological innovation in modes of transportation. The 19th-century world moved goods and people by means of horse-drawn carriages, wagons, and coaches along with steam trains and ocean liners. As internal-combustion engines became more powerful, reliable, and affordable, carriage companies and other entrepreneurs began experimenting with gasoline-powered personal vehicles. Preferential trade agreements in the British Empire and close relationships with suppliers in the United States allowed Canada to become one of the world’s top automotive producers – at least until the disappearance of independent domestic car companies in the 1930s. The car influences how Canadians interact with each other and their environment. From building and repairing, to driving and displaying, automotive experiences tell the story of modern life. These car stories reflect the social, geographic, and economic conditions that have shaped the nation. Paved roadways were constructed to allow vehicles to travel with ease. 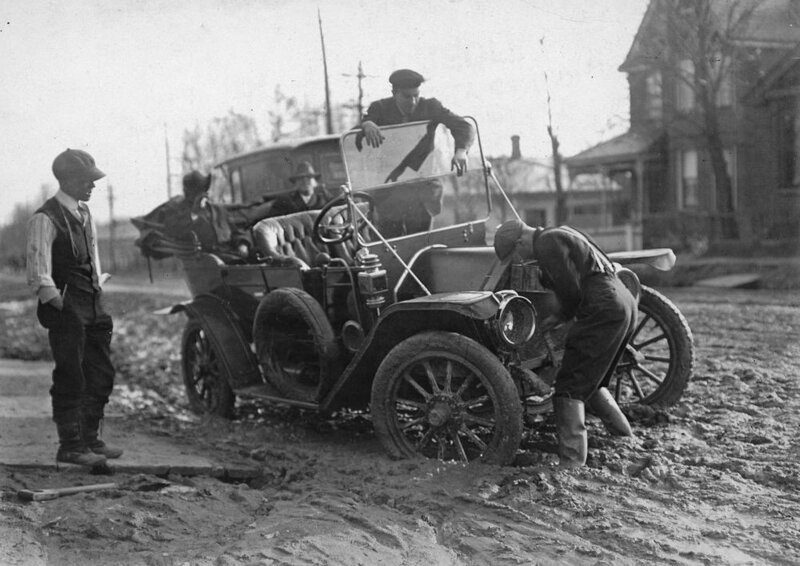 Before this, however, cars would often get stuck or break down in the muddy, unpaved streets, like this one in Toronto in 1913. City of Toronto Archives, fonds 1244 item 42. A “ferry” across Placentia Gut, St. John’s, Newfoundland, 1938. The Rooms, VA 7-55. Cover of Canadian Motorist, June 1927. Collection of the Canadian Automotive Museum.